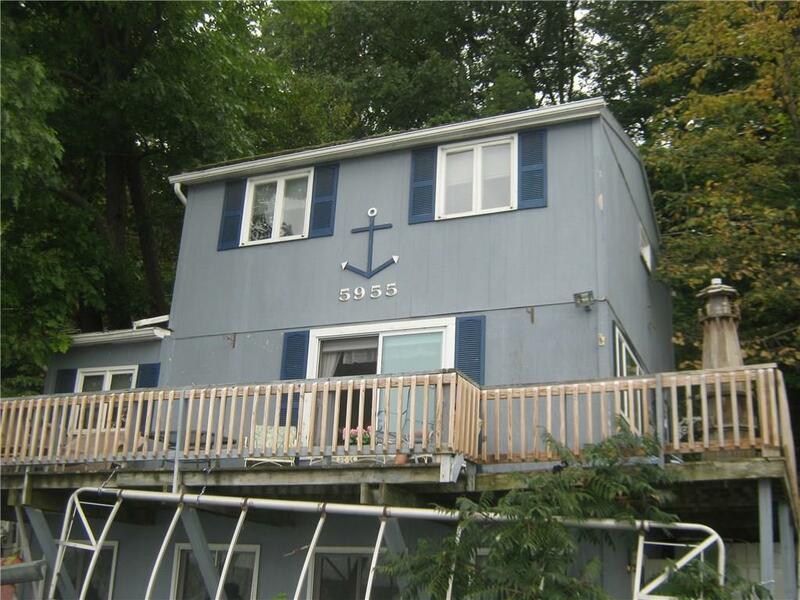 Rare opportunity on Conesus Lake. This year round home is on 50' of leased land. Enjoy this tri- level on the quiet south end of the lake on private Calvin Lane. Great views of the lake. Lake level floor is finished and currently used as the bedroom. The middle floor has the galley kitchen, dining living combo, deck overlooking the entire lake, and a full bath with laundry. The upper level has a spacious master bedroom and a guest bedroom. Potential for expansion if you'd like a second bath. Docks and hoist included. Cash buyer only. No sub letting/rental per the lease. Don't miss this opportunity.